Members of The LEAD Group and elected officials cut the ribbon on the new Sleep Inn. Today, a large crowd gathered to witness the ribbon cutting of West Jackson’s newest business. Sleep Inn & Suites, located near the intersection of the Metro Parkway and Gallatin Street, is a $5 million development that features Free Wi-Fi, hot breakfast, a conference room, an exercise facility, and 64 guest rooms equipped with a microwave and fridge. 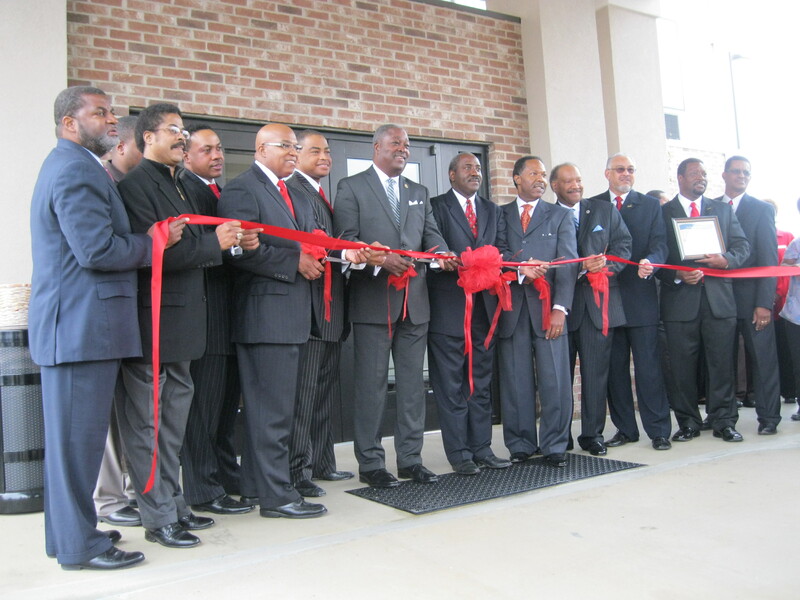 The newly constructed hotel is owned by a group of local, African-American investors known as The LEAD Group. This is very exciting news for West Jackson as the many investments that are taking place downtown began to seep across Gallatin Street and into the community. If you’d like to book a room at the Sleep Inn, the hotel is currently offering a special rate of $79.99 per night. This rate is effective until the December 31, 2010. If you are on a mobile device and can’t see the photo gallery, try this direct link. Visit the Clarion Ledger photo gallery for more images.